I noticed an achievement I never saw before related to River District (something about throwing a balloon) and so I went to replay it. As usual, went to Neverember to get the RD replay quest, which lead me to River District. 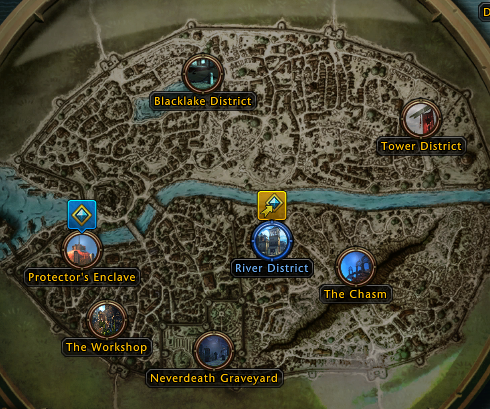 However, once I get there, the quest path tells me to Go to River District. 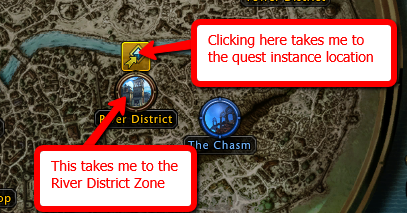 Either the quest waypoint is messed up and entering the RD instance doesn't progress the quest correctly OR there's supposed to be a different map icon specifically for this quest and it's not showing up on the travel map. Regardless, it appears impossible to run the Chapter 1 replay. I'll bring this up to the team for additional info/investigation! Can you tell me the name of the quest, please? 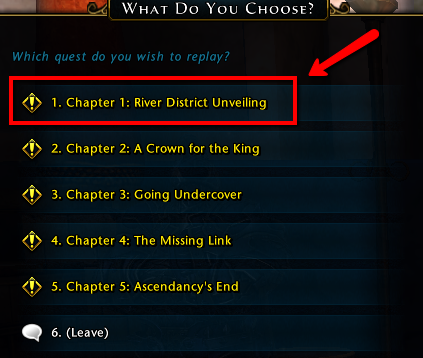 It's called: "Chapter 1: River District Unveiling"
Now to find my water balloons! Oh that some good feedback you provided. I would have likely done the same as you. I've always assumed the square just indicated missions in your journal had objectives in that map. Seems rather unusual you required to click specifically on the waypoint marker. "Good Catch" and can confirm clicking on River District going to the 'map' I'm then told to then return to the travel gate strangely enough... ...only when I click on the upper square does the alternate video seem to load with Celeste. Perhaps it might be better to place a River District Unveiling as the preferred location right besides River District; a similar approach was taken for Black Lake Job Fair. Had a similar thing with Neverdeath when I had a quest leading me to a zone instance that was layered right over the actual zone. Can't provide pictures or names, though. Don't see the point in replying through a new post, but I meant I didn't take pics when it happened, not that I don't know how to take screenshots. 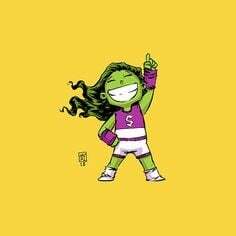 Jing, from Techsmith is awesome for this sort of thing. It's super lightweight, free, and provides cloud-based image uploads. It's limited in the free version, but perfect for this sort of use - if you post a pic in the main forum that gets a lot of views, it will hit the limits, but in bug reports, so far, I haven't had a problem. @nitocris83 @mimicking#6533 -- thanks for you attention on this one, it's much appreciated! For new players, the River District Unveiling is a separate map icon. I can totally see how that's confusing. Thanks for the great sleuth work! I think this also might manifest when you have to return to the lynching tree during another River District quest. You might want to check it. Only other issue I ran across on those replays was the last step of Chapter 3, the Return to Kravatos - there was no fairy trail leading back to the Kravatos in PE. Otherwise, I didn't run into any bugs per se, although the last chapter is a bit messy. 1. The quest says to defeat 90 groups but the Heros stepped in around about 5 or 6 (didn't keep track) and while I couldn't fight or interact with any mobs, I was still in combat stance until I walked beyond the area. This might be intentional though. I admit both the first time and this time, when I saw 90 and realized that was groups not individual mobs, I kind of rolled my eye a bit and checked to make sure I had a full cup of coffee... Nevertheless, being stuck in combat stance meant I couldn't mount up, which would have been nice to move things along a bit. 2. The fight with Gyrion is messy. It might be that I'm over-powered for the fight and took him down too fast, I don't know - but I got him to 0, and then he switched forms with only temporary hit points remaining. I fought him down to ALMOST 0 HP and he stopped doing anything. I couldn't attack him anymore, and he stopped moving. I couldn't leave the zone, couldn't even use my VIP travel post because I'm still in combat stance. Then, after a couple minutes, about the time it took me to write this post up through the previous sentence, he went back into motion with shield hit points only, after-which he died normally and the quest completed as expected. 3. At the end of the quest, Celeste, Knox, and Luna all are using the same cheer emote, and they're doing it in sync like they're at a 6th grade dance doing the Macarena or something. It's kind of weird. Also, Linkletter is doing his best Snoop-Dog impression... also a little weird. The Gyrion fight has been buggy since launch. I've done it on 11 characters and jt isn't about being overpowered. Besides the behavior described, he can also teleport into the invisible wall around the arena and become stuck and untargetable. Yeah, I recall the same thing happened to me when I went through it originally - including the part where he gets stuck in the wall. Its been a long time, but as I recall even the Defeat Me didn't work and I ended up having to log out and start the whole thing over. I forgot all about that... Didn't happen to me this time around though.